The arrival of a Bristol lawyer at a thriving national solicitor’s has created the firm’s first “family law hotspot”. Woolley & Co has a team of partner level lawyers working from satellite offices across England and southern Wales, offering specialist family law with a flexible service tailored around the needs of the clients rather than tied to high street office hours. 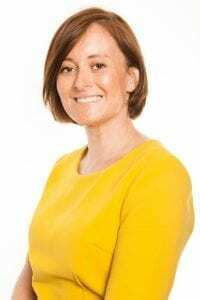 This month Kimberley Bailey, of Bristol, joined the firm, further bolstering the 20-strong team and it means they now have a grouping of four top level specialists spanning the Bristol, Wiltshire, Wells and South Wales area. “It is a bit like a family law hotspot Bristol and the south-west,” said Kimberley, a married mother of two. “Having a young family, I was looking for a greater work-life balance and Woolley & Co offered that. It is something that is difficult to find at many more traditional firms. I can now manage my caseloads and my time in a way that suits both my clients and my lifestyle. Kimberley, who is Resolution accredited, has moved from a general practice in Bristol. She joins Kathryn McTaggart, in South Wales and Judith Buckland, in Wells. Reform of rules on cohabitation, the issue of increasing numbers of litigants in person slowing down the family court system, and mothers using children as pawns in contact wrangles are industry issues which are key for Kimberley. Andrew Woolley, managing partner for Woolley & Co, said: “While many firms are struggling at the moment with changes in the laws governing practices, perceived threats from the so-called Tesco’s law and with the tough current economic climate, we are going from strength to strength. I think this is a testament to our lawyers, the way we operate and the services we provide.